Greetings! I would like to welcome everyone to the art of Ninzuwu blog page. If this is your first time visiting us, please take this opportunity to review some of our previous articles. we wish you all the best in your spiritual endeavors. have a blessed day! 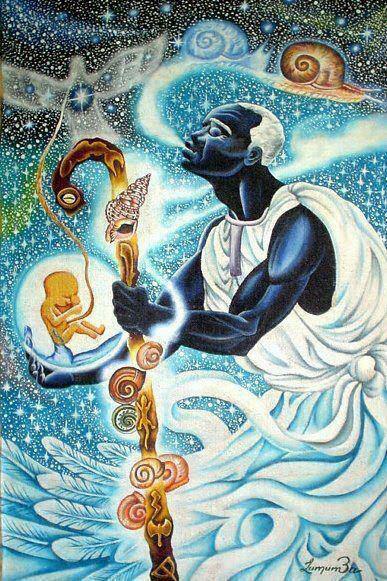 “Know that every civilization comes into this world in the manner of the Unborn. Each city exists in a place not known to time and then descends upon the realm of man as a kingdom, through some act of war, or a great migration. Do not worship these things like men do, for it is a forbidden art which keeps the soul bound to useless things.” – The Ivory Tablets of the Crow. I received a lot of my training from Taoists years before learning about Sumeria and other magical practices. The thing is that Taoists usually do not identify themselves as such, and what is often called teaching is labeled as the “work,” for there is where the true teachings can be found. Everyone has their own understanding of the Art while he foundation is the same. However, I am often surprised at how people confirm their beliefs, which is often by comparison to an older religion. The question would only arise in my mind, is by what method have they used to validate the ancient belief in which they are comparing Ninzuwu with? Life and its teachings are always occurring at this moment right here and now. I have also used ancient paradigms to illustrate a point, but this is not in reference to validation. My faith is firm. When we are aware of life, then we are aware that all that exists in the past exists in life today. One would truly be living in an illusion if they are to think that enlightened men and woman are not alive in the world today. In fact, when we have grasped a deeper understanding of life and know life on a personal level, we can even say that those of great enlightenment still exist in the world today. Life will always have its, enlightened ones as well as its serial killers. How so? In the same way that cells are replaced periodically in the human body, so too are the principles of Heaven and Earth, manifesting in the lives of men and women, replaced in human society, some more abundant that others. For example, we find that at certain periods of human history there existed more people who are enlightened than at other times. In these same societies we find also that there may exist some who are more involved in crime than at others times. These “principles of human existence, however, will always be replaced like the cells of our bodies, for it is a part of the organ of life itself. The mind of life, like the neurons in the cerebral cortex, is never replaced. Based on such, we can say that true awareness is void of the infatuation of what was before, but in understanding that these principles of life have always been with us, but manifest themselves through different individuals in all ages. If we become so preoccupied in the aesthetics of what was before, we will never be able to see that the existence of these principles that inspired many of the great spiritual teachers in the world have never left us and that this same work is being carried out just as diligently today, as it was in times of old. It is by the practices and cultivation of virtue and purity that our eyes can remain open to see the principles of life for what they truly are and that they have always been with us. The term Ninzuwu is defined in the Vasuh language as meaning “Magicians of the Yi Jing,” or one who is able to navigate through life changes. This navigation is a work of cultivating purity and virtue, for these are the double edges of the Sword of the Ninzuwu. We are well aware that what dies has never come back to life in the same form, yet its principle has always been with us. Therefore, we can resurrect these principles in us while disregarding what is not useful. There exists a record of many ancient peoples, who claimed descent from a highly esteemed society, but called themselves differently after having removed themselves from the direct experience of the said society. Anything that has a name has a particular function. Anything with a name also has a beginning and an end. Yet, many dedicated themselves to named cultures, not out of ignorant infatuation for some biased history, but knew that such machines were vehicles of human society and would make sure the preservation of a particular understanding and teachings of the Book of Changes. Today, we have this same responsibility as Ninzuwu. Instead of trying to resurrect the corpse of ancient civilizations, something that our ancestors would look upon with disfavor, we have the opportunity to build a new world through a vehicle that preserves an understanding of these everlasting principles of Heaven and Earth and how they are to be used by humanity.